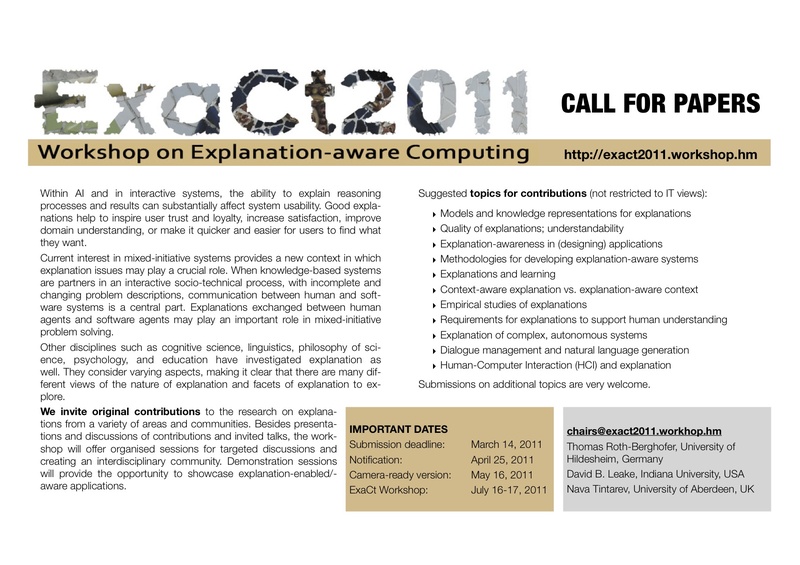 Explanation-aware Computing has a call out for papers for their upcoming workshop being held on July 16-17, 2011. Scholars in the fields of cognitive science, linguistics, philosophy of science, psychology, and education are invited to submit papers. For more information, see their flyer here.